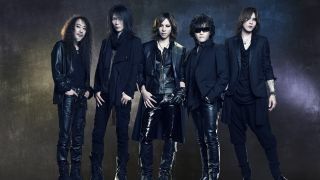 X Japan have announced the release date for their first album in 20 years. And the Japanese rock outfit have also revealed a documentary charting their career will be issued the day after the album launch. Neither the album or film have been given titles as of yet, but the record comes out on March 11, 2016, with the documentary being shown the following day. X Japan will debut the film at London’s SSE Wembley Arena as part of their ‘#XDAY’ celebrations on March 12. Tickets for #XDAY go on sale via LiveNation tomorrow afternoon (July 4) after founder and drummer Yoshiki makes a personal appearance at Paris’s Japan Expo at Paris-Nord Vilepinte Exhibition Center. Yoshiki will then be joined by X Japan’s lead vocalist Toshi next Saturday, July 11, at Hyper Japan at London’s O2. The duo will perform a song from the new album as part of a special unplugged performance at 3.30pm. The album will be the follow-up to their fifth record, 1996’s Dahlia, while the The film is produced by Passion Pictures’ John Battsek, producer of the 2013 BAFTA and Academy Award-winning feature documentary Searching For Sugar Man. After splitting in 1997, X Japan reformed in 2007 and have been touring ever since.